Adjusting to a colostomy is tough. For me, it was like a horrible dream. But with a positive mindset, I soon adjusted to my new life. If you are an ostomy patient, you want to know which types of colostomy bags will work best for you. You have just had a procedure that has temporary or permanently rerouted your solid-waste disposal system, you wish to know whether you should choose to use disposable or re-useable bags. Perhaps you prefer to wear bags you can just change and dispose of immediately rather than a stoma bag you have to keep emptying at intervals. This decision is always up to the user. There is no doubt that you will go through quite a few bag systems before you find the right fit, and that can be quite challenging at first. 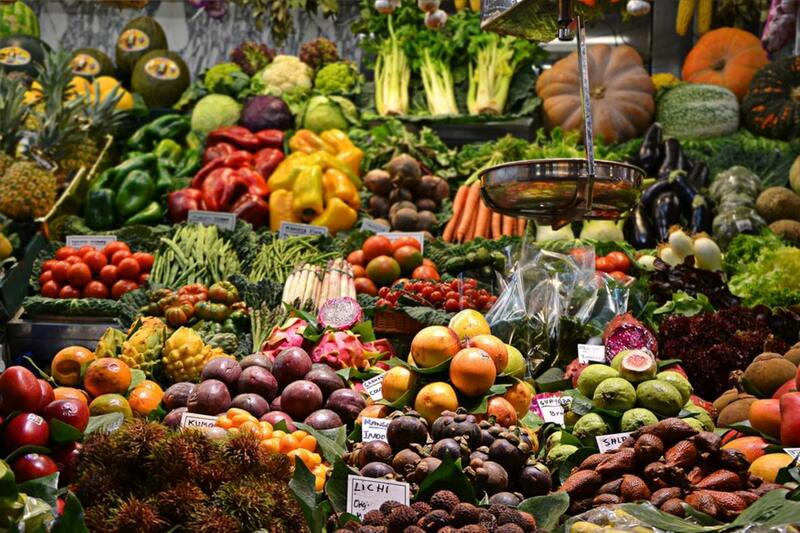 Luckily, many colostomy patients soon find what works better for their kind of lifestyle within a few short weeks, but for some others, it may take months before they are finally comfortable with one type or the other. 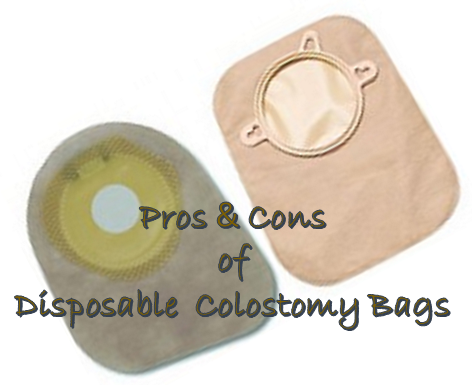 There are basically two types of colostomy bags, the disposable types and the re-useable (drainable) bags. This article is about the disposable bags and the advantages and disadvantages of using them. The disposable types of ostomy bags are ready to be disposed of once they are about three-quarters full, unlike the drainable bags that can be used, drained, and re-used again for as long as a couple of days (some use it for longer), without the need for a complete bag change. So, what are the advantages and disadvantages of the closed disposable bag and why do many ostomates choose (or otherwise) this type over the other? 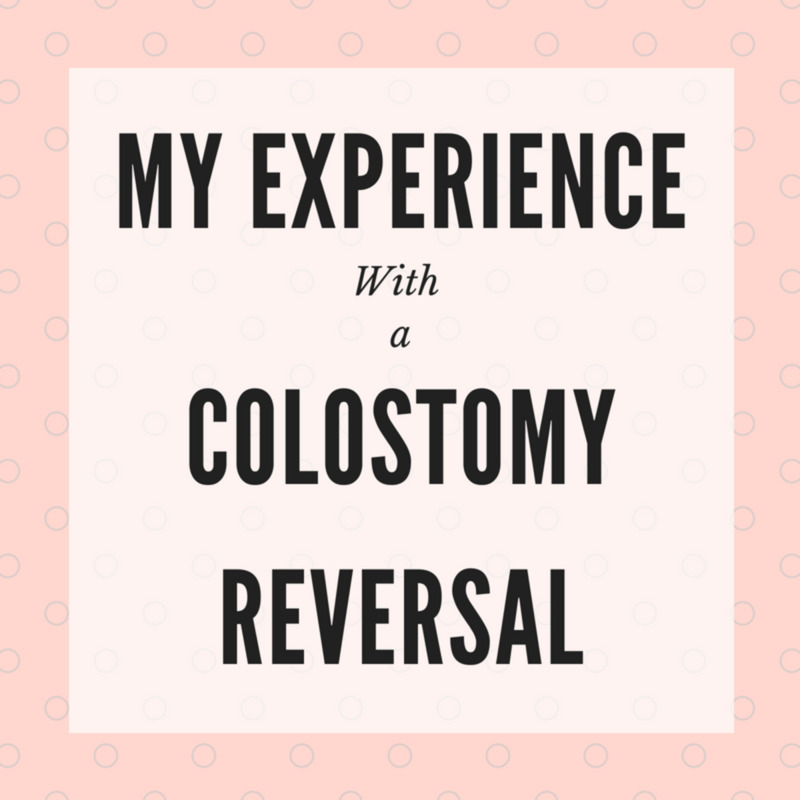 Life has never been better for colostomy patients, especially for those who live their lives on the fast lane. Unlike the archaic colostomy pouches of old, the modern type disposable bags are leakproof, waterproof, and come in three sizes, small, midi (medium) and large. Disposing of them is easy because your ostomy supplies come with odour-free disposal bags, with some lightly scented. Once you place your used bag in one and tie it securely, you can drop it in the same toilet bin used for sanitary wear disposal. They are great if you have to attend a party or a special occasion. You don’t need to worry about having to empty a bag in the toilet of an event place, a restaurant, or your friend’s house. The mini size fits snugly into a woman's purse or a man's inner jacket pocket. Remember, you must always have a couple of spare ones whenever you go out partying or to a restaurant. Emptying a drainable bag emits an unbearable smell but with disposable colostomy bags, once you take it off and replace it with a new one, odour doesn't linger for more than a couple of minutes. If you wake up in the middle of the night, feeling sleepy or groggy, you don’t need to sleepily fiddle with emptying your bag. Just take off the used one and pop on another in a couple of minutes. If you are travelling by road with your family in the family car, for instance, you can have a quick change if need be. Yes, the other occupants - your spouse and/or kids will have to bear with a little whiff of odour, but then, they'll understand. All they need do is wind down the windows for a few minutes. The same applies when you travel by rail or by air. Removal and disposal are quick and easy once you've mastered changing your bag. The large bags are best if you have to travel for long hours. Disposable bags are best to use for babies and very young children. Closed ostomy bags are very convenient when you need to change your bag in a public restroom or at a friend's house. There is no chance of leakages or odours emitting from the closed ostomy pouch because it is completely sealed. They are waterproof and leakproof, and will not absorb or let in outside moisture, which means you can bathe, shower, or even swim with one on. It all boils down to your personal preferences and your lifestyle, and whether the positive aspects of a closed ostomy pouch outweigh the negative for you. And though I personally prefer the drainable types, I still found that there were many instances when I had no choice but to use a closed pouch. I find they worked best for me because I am a socially active individual. I found Coloplast's Assura 1-Piece Closed Pouch (Precut Convex) worked best for me, of all the brand’s I tried. 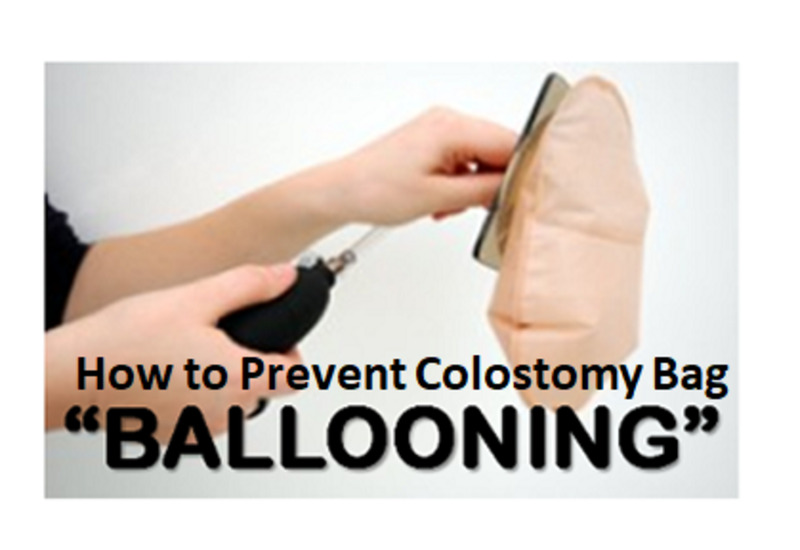 The closed colostomy bags have many advantages, but they also have a few disadvantages. They are more expensive than re-useable colostomy bags because they are for one-time use. This means that you will go through more bags and spend more money on them each week. While a drainable pouch can be reused for a few days before it would have to be thrown away, you may need to use as many as 4 or 5 bags per day, sometimes more, depending on your diet. If you are a hearty eater, you'll need to change your bags quite often during the course of the day. You will need to change the bag when it's only half-full, unlike the drainable types which you don’t need to empty until it is three-quarters full. They tend to fill up with flatulence quickly and it is almost impossible to quickly expel the gas like you can with drainable ostomy bags. Closed bags are best used by people who have less waste discharge. 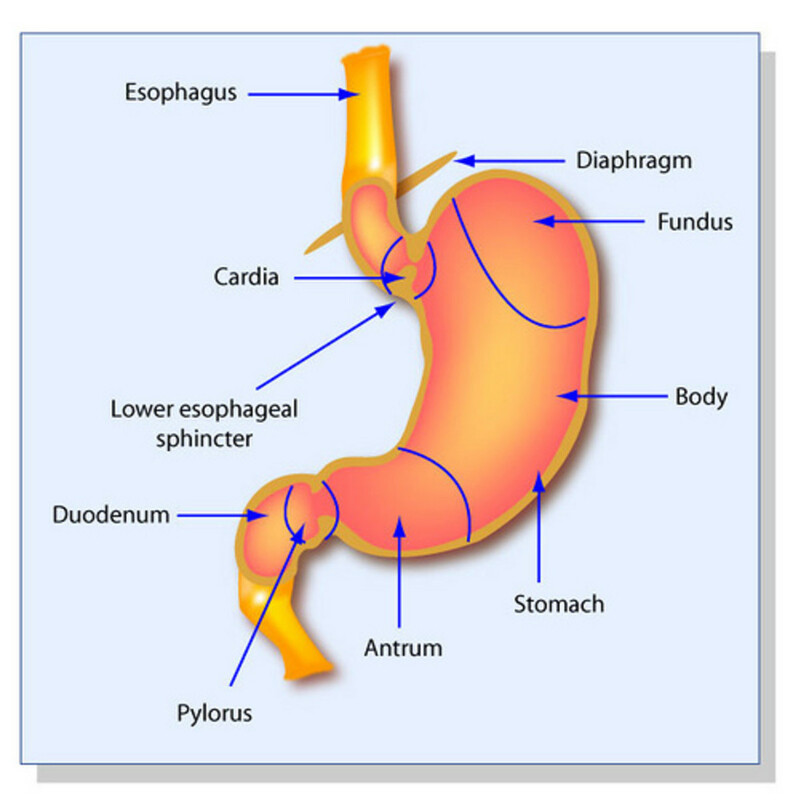 This makes it difficult to use for ileostomies or urostomies because their output is almost constant and more fluid. As I said earlier in this article, it's all a matter of what works best for you. However, you will find that despite the disadvantages of using closed pouches, there will be times when you'll have no choice but to use them, no matter how much of a drainable bag fan you are. Always check your colostomy bag regularly in case it is filling up without your being aware. For instance, if you are at a party, pop into the toilet now and then to ensure all is well. Never, if you can help it, allow your disposable bag to fill up more than halfway through. At times, the faecal discharge has a way of creeping slowly into the bag without your knowledge. If you can, create a bag-changing routine. After a few weeks, when you can manage the situation better, try to establish a simple changing routine. As you get used to your condition, you will discover that your stoma is more active at certain times of the day than others. Take note of it. During, or immediately after a meal, your stoma will become very active, literally spilling faeces into your bag. From my experience, you will need to empty or change the bag almost immediately after your meal. It is better to change your colostomy bag when the stoma is relatively inactive to avoid waste discharge for the few seconds that your bag is off between changing. Ensure your gently but thoroughly clean around your stoma during each change. Never flush soiled colostomy bags down the toilet, for obvious reasons of drain clogging and blockage.